We outline why the Playbase is such a strong option in the latest Powerbutton blog. With extraordinary audio quality and a sleek design, the Sonos Playbase is a great option if you’re looking for a sound system that will allow you to enjoy games, movies and TV shows like never before. Why choose Sonos Playbase as your sound system? Sonos has led the way lately when it comes to bringing top-level audio products to market. 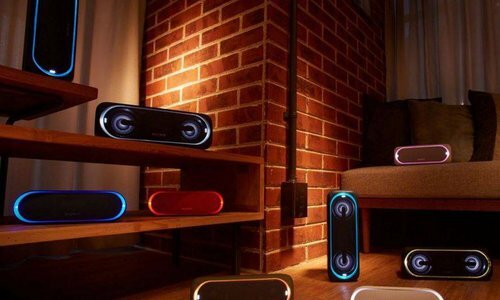 With a fine range of smart speakers, sound systems and soundbars, Sonos is making waves and being the go-to brand for people looking to bring next-level audio to their home. Sonos items appeal because they offer a new level of experience when watching your favourite film or playing your favourite game. They bring immersive sound that helps remove you from your day-to-day and places you in a new world of visual and audio entertainment. We love the Sonos range at Powerbutton, and we’re an authorised Sonos dealer with a vast number of products available from our online store. And because we know the Sonos range so well, we feel we can help guide our customers identify what product might be best suited to their requirements. If you’ve come as far as the Powerbutton blog, you might well be looking for a helping hand. So let’s see what we can do when it comes to outlining what the Sonos Playbase brings to the table. What’s the Sonos Playbase all about? Sonos is a leader in the market when it comes to soundbars. Don’t get us wrong – soundbars are a fine addition to the home and can certainly be right for many buyers. 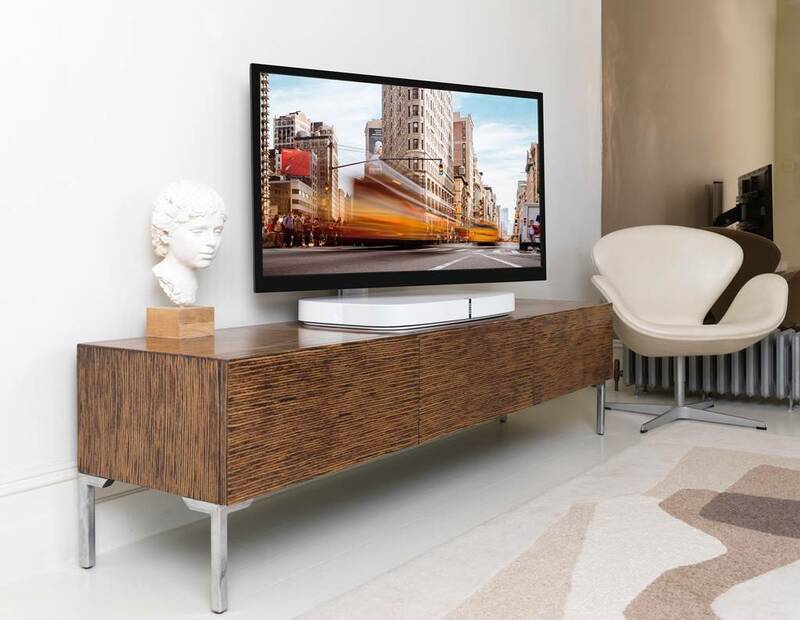 But depending on your setup, it can be tricky to find the perfect spot to house your soundbar – particularly if you don’t have a wall-mounted television. 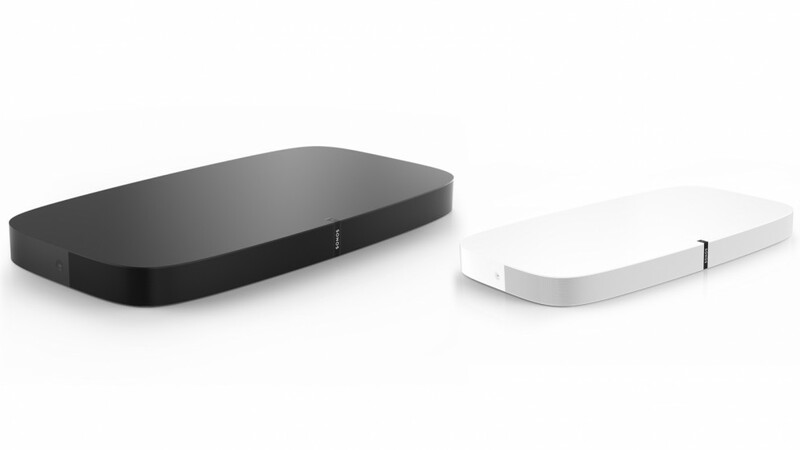 The Sonos Playbase offers a great alternative. 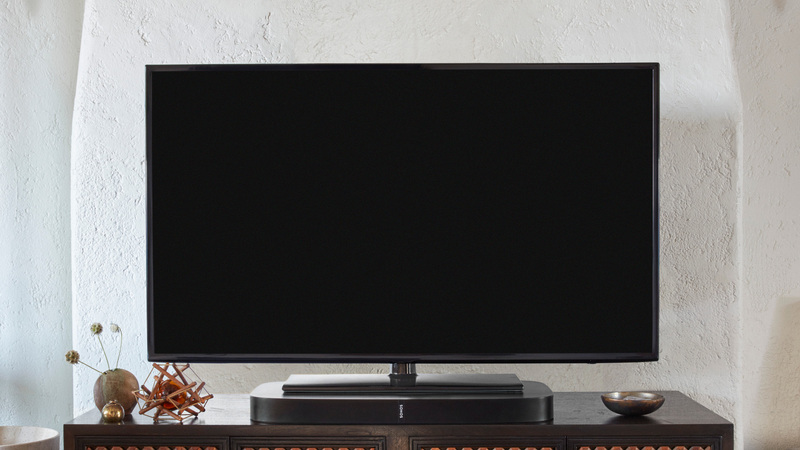 Not only does it have a top of the range sound system, but the Playbase can also support the weight of most standing televisions. This means you can place your screens on top of the Sonos Playbase, get them connected and enjoy visual and audio content like never before. And if you have a true home cinema setup and an absolutely massive television, the Playbase should be able to slide between the legs and continue to provide the kind of audio output you seek. Why choose the Sonos Playbase? As mentioned, the Playbase is a good alternative to the soundbar – particularly when looking to enhance the quality of your TV’s sound. 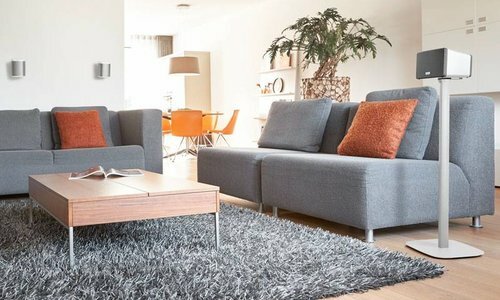 Its sleek design melds seamlessly with the aesthetics of living rooms, and is available in black and white from Powerbutton. This allows buyers to create the kind of escapist utopia they crave at the end of a long day. The Sonos Playbase comes with dialog enhancement to help you clearly understand what’s been said on screen. Speech Enhancement also keeps dialog at a consistent level and reduces sound effect volume to ensure an enjoyable audio experience. There’s also a night mode option. This is great for people with young children who may want to keep the noise down while the little ones are asleep. Quiet sounds are enhanced and louder sounds are reduced, so you can watch without disturbing those around you. Of course, the beauty of the Sonos range is that their products can be easily connected with not only televisions but a host of audio channels. That means your Sonos Playbase can be linked up with streaming services, music services, podcasts, internet radio, downloads or whatever else you require top quality audio to enjoy. In terms of the technical details, the Playbase comes with 10 Class-D digital amplifiers, 6 midwoofers, 1 woofer and 3 tweeters. It also has optical digital output and offers widescreen sound, supporting TVs up to 75 lbs. 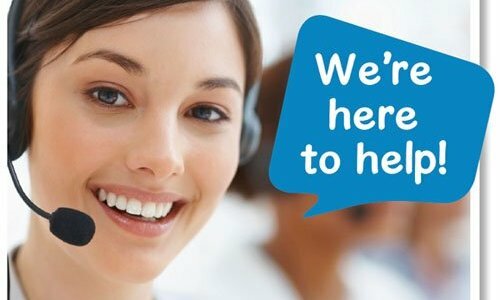 How is it connected to devices? Given theradical effect the Sonos Playbase can have from an audio perspective, it really is remarkably easy to get set up. Each Playbase comes with just two cords. One connects the sound system to the mains. The other is an ethernet cable to connect it to your television. 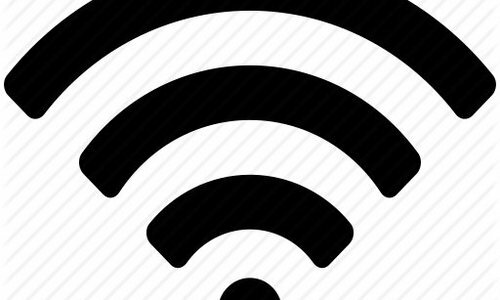 Once you connect the Sonos Playbase to your Wi-Fi system, you can download and use the Sonos app on your phone or tablet. This allows you to take control and take full advantage of the audio possibilities on offer. Can Sonos Playbase work with other Sonos Products? One of the beautiful things about the Sonos offering is the interconnectivity on offer. 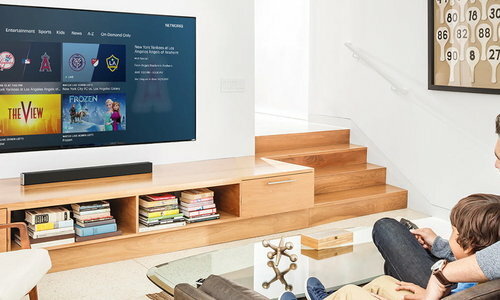 So if you buy a Sonos Play:1or a Sonos Play:5 speaker for example and place it in a room away from your Sonos Playbase, you can connect these Sonos speakers and stream the same content throughout your home. This is great for music fans in particular, allowing you to create a continuous sonic experience in every room. What’s more, we have a range of Sonos Playbase accessories available at Powerbutton, including stands and bases to house your new purchase. And we currently have a bundle deal that allows you to pick up the Sonos Playbase and Flexson Adjustable TV Stand for less. Suffice it to say that the Playbase would be a great addition to many homes, and Powerbutton offers a price match promise. So if you do find it somewhere else for less, we’ll match that price. 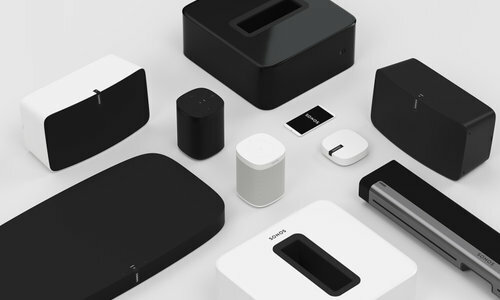 We have a broad range of Sonos products available at Powerbutton, so be sure to take a look through the full selection.